When you boil it down, the B2B marketer’s job is to drum up demand, generate leads for the sales team, and help sales close deals. Once you’ve outlined your strategy to deliver on that promise, the next step is finding the right tools for the job. You don’t need me to tell you that you have more software options than ever to choose from. But since it’s a daunting process to find the right tools, we did the heavy lifting for you to find the perfect combination of demand generation tools for your stack. From nurturing and educating to understanding exactly what your leads want from a product, any combination of these tools are fair game for creating a much-needed sense of demand. Modern automation platforms allow businesses to gather an absolutely insane amount of data on their leads. Tracking every touch-point between your visitors and website, it’s possible to put activities on autopilot that keep leads in your funnel to eventually convert. While every B2B marketing team seems to hold loyalty to one of Hubspot, Marketo, or Pardot for their marketing automation needs, Autopilot is the new kid on the block worth paying attention to. 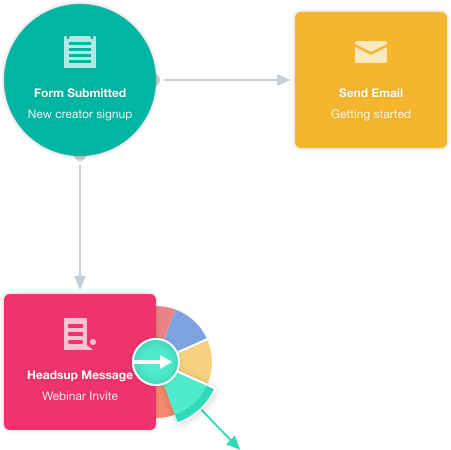 Autopilot is simple to use and includes all the main functionality that you want out of your marketing automation (website tracking, Salesforce integration, action based triggers & alerts, drip/nurture campaigns, etc.) without the massive price tag of the others. Here’s some food for thought: demand is time-sensitive. That is, just because someone is interested now doesn’t mean that their level of excitement is going to stay the same in a matter of days (or hell, even hours). Lead routing and scheduling guarantees that you get the ball moving ASAP, leaving less lag time for your sales team to get in touch with your leads. 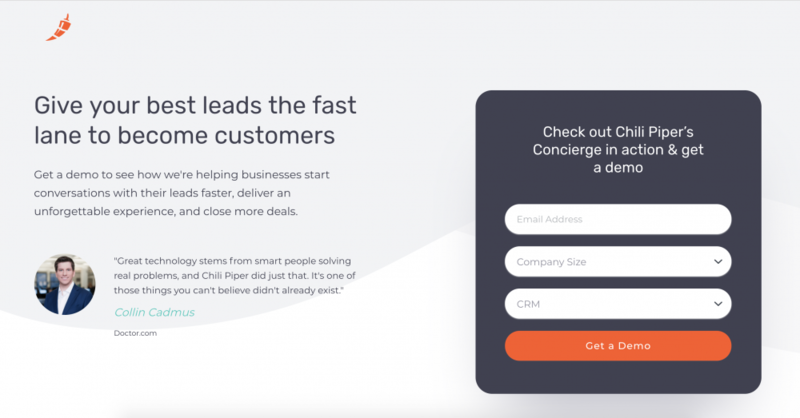 Upon filling out a form on your site, Chili Piper qualifies and enables your leads to immediately trigger a call with sales in a matter of seconds, or schedule a meeting for later. This eliminates the waiting game that can inevitably kill the enthusiasm of your leads. And by being routed to the appropriate rep in real-time, your sales team can focus more time on helping the customer instead of going back and forth over email just to schedule a meeting. Understanding relevant keyword queries is a must-do for attracting top-of-funnel leads and figuring out what they want. However, SEO not only encompasses the search terms that are relevant for your business but also what people are searching to find your competitors. In-depth keyword analysis serves as a way to tap into high-demand keywords while also differentiating your SEO strategy from the crowd. Ahrefs is a comprehensive spy tool for better understanding the SEO strategy of your competitors. Simply plug in a URL to see its highest-performing keywords and how much traffic they bring in. You can also get a glimpse of which pieces of content are killing it for your competitors and what they’re doing to build backlinks. 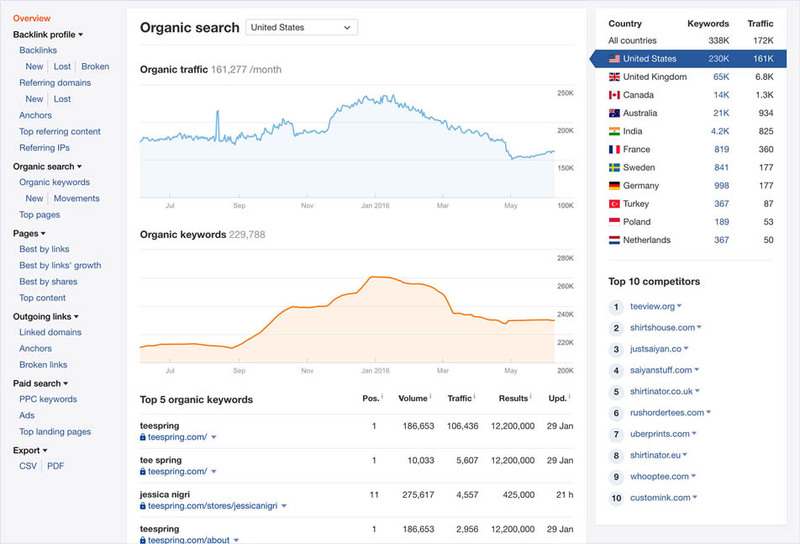 SEMRush offers some similar features to Ahrefs in terms of competitor analysis, as well as how your competition’s rankings have changed over time. Additionally, you can see which competitors are targeting specific keywords and use that information to inform your own content in the future. If you’re not 100% who your competitors are from a pure SEO perspective, SEMRush can clue you in. Whether it’s blogging or via social media, educating your audience through content marketing is a brilliant way to inform existing leads and new prospects alike. These demand generation tools take much of the legwork out of content marketing, ensuring that you streamline your content creation and get in front of the right people. Sprout Social is the ultimate all-in-one solution for content marketing on social media. 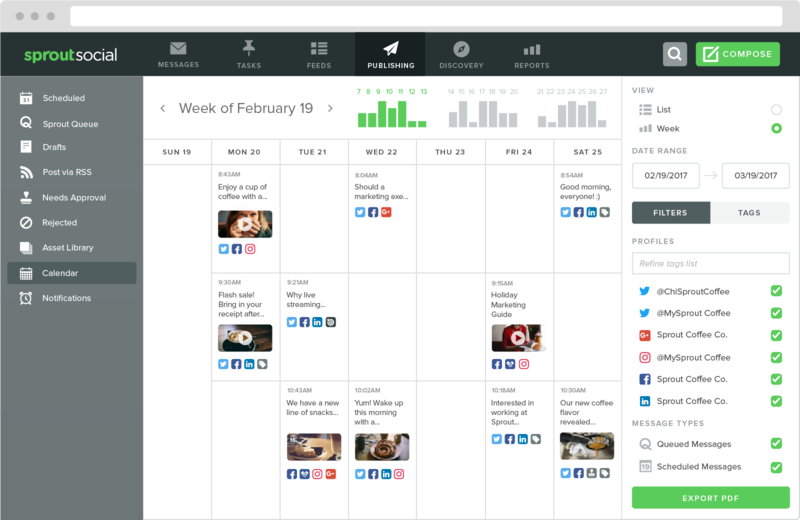 Allowing businesses to assemble a comprehensive content calendar, Sprout’s social scheduling zeros in on the optimal times to post on social to maximize engagement. Additional features such as hashtag analytics and in-depth reporting are invaluable for expanding your content’s reach. Creating demand means also means creating buzz. By working with industry influencers, you can create a greater sense of awareness and authority around your business. BuzzStream offers a comprehensive platform to research and conduct outreach to influencers relevant to your industry. 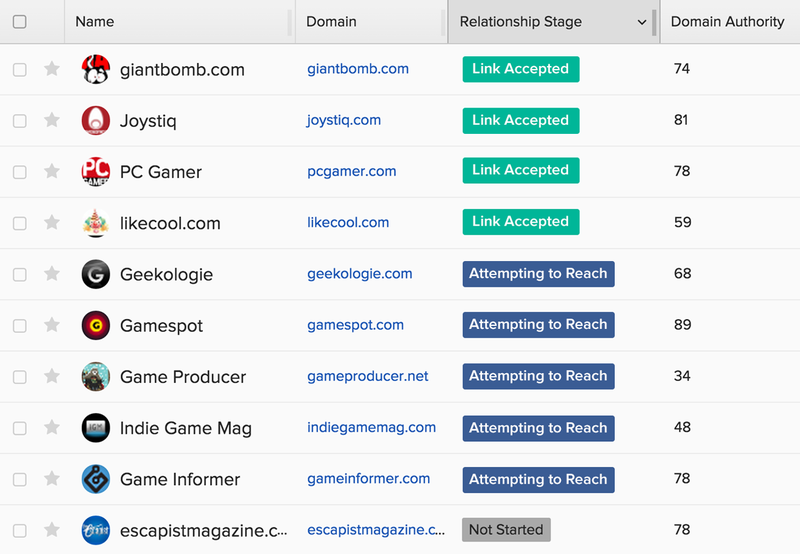 You can also keep track of your relationships and what your top-performing pitches via outreach reporting. Content creation is a must-do for businesses looking to generate demand. That said, it can also be equally time-consuming. This rings true whether you’re taking a DIY approach to blogging or are outsourcing to freelancers and guest contributors. To streamline your content creation process, Wordable does the legwork of taking your business’ content in Google Docs and automatically exporting it into your CRM (namely WordPress). This makes for quick and easy collaboration without having to about assigning permissions, guest logins or juggling passwords for content creators. And as an added bonus, Wordable automatically imports your documents’ images and formatting, saving you some serious time in the process. Running ads may seem like an obvious avenue for generating demand, but not all ad types are created equal. Specifically, businesses today should look at audience-targeting and remarketing capabilities afforded by social media as demand generation tools. 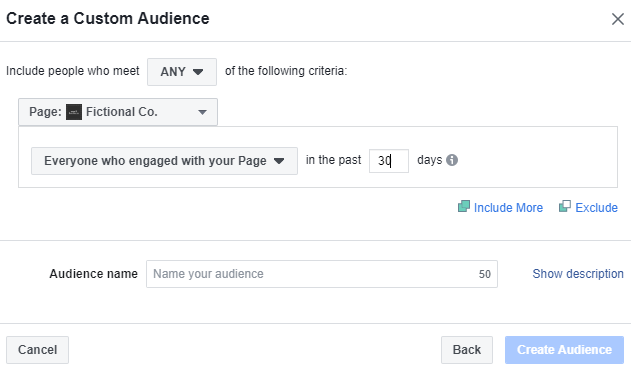 Noted for their high ROI, Facebook retargeting ads are perfect for giving yourself a second chance to win over your leads. For example, you can target people based on specific events on-site or on your Facebook page. Whether it’s watching a video, filling out a form or landing on a specific piece of content, you can tailor your ads based on their specific demands. In terms of demand generation, such ads are a prime opportunity to introduce your service to hyper-specific prospects who already speak your language. Data and demand generation tools go hand in hand. Through robust reporting, you can learn exactly what’s driving traffic to your site and how your visitors behave. Based on these data points, you can fine-tune your site to better reflect what those visitors are hungry for. There’s a non-zero chance that you’re already using Google Analytics, right? So why not use it as a demand generation tool? By setting conversion goals and monitoring the performance of specific campaigns, you can better understand what’s resonating with visitors and what isn’t. Also, Google Analytics can point you to your top-performing content and most valuable traffic sources, both of which could influence future campaigns. 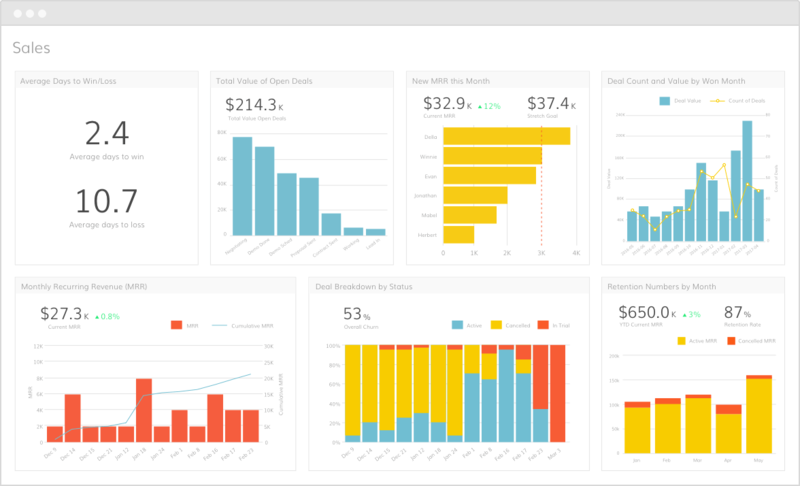 Grow is basically business intelligence reporting on steroids. 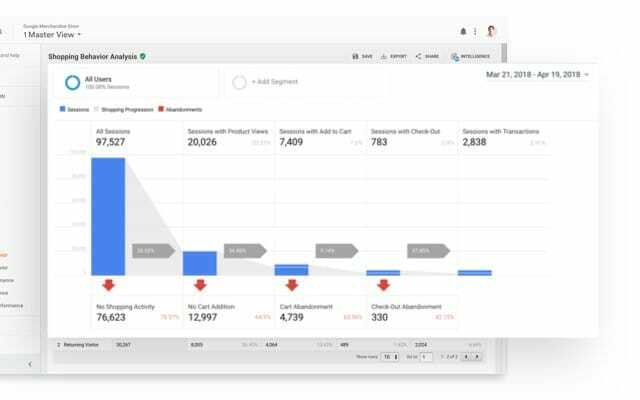 Combining all of your relevant company reports (think: Google Analytics, CRM data, ad performance) in one place, users are empowered to take a more holistic view of their business. With over 150 instant integrations with today’s top apps, Grow stresses quick and seamless implementation as one of their biggest strengths. 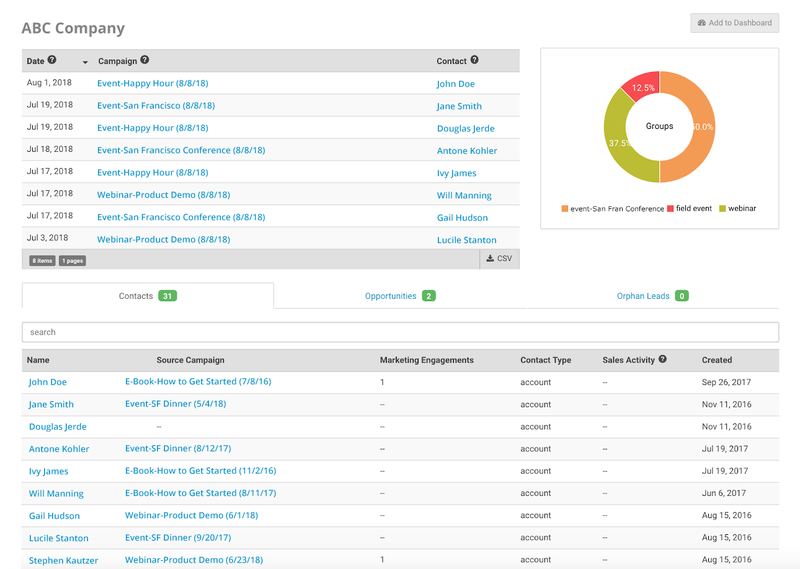 These sorts of detailed dashboards help businesses better understand how various campaigns work in tandem, encouraging you to better align your marketing goals. Clicks are perhaps the most valuable currency for determining whether or not what you’re putting in front of your target audience is resonating. Conversion optimization is an ongoing process that determines what businesses can do to drive more of those precious clicks based on visitor behavior. Rather than play guessing games with your landing page, Hotjar’s heat mapping software examines the real-time behavior of your site visitors. 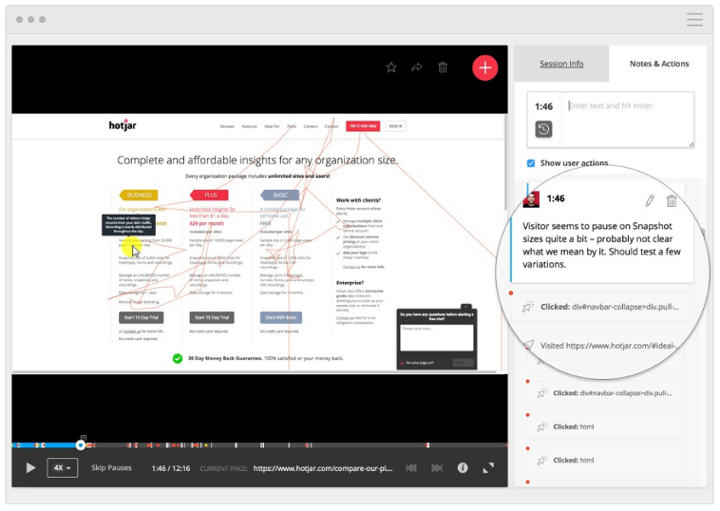 The tool’s session recording feature provides an authentic, bird’s-eye view of the visitor’s journey and how they click around your site. This allows you to tune up your calls-to-action and link placement to see what’s working and what might be falling flat. In other words, you can base your landing pages on behavioral, objective data to optimize them for conversions. Landing pages are a sort of make-or-break moment when it comes to demand. If you aren’t sending the right message or otherwise suffer from high bounce rate, it’s high time to understanding by the numbers what the issue is. Given the number of variables on any given landing page, regular testing of your marketing messages and creatives are crucial. 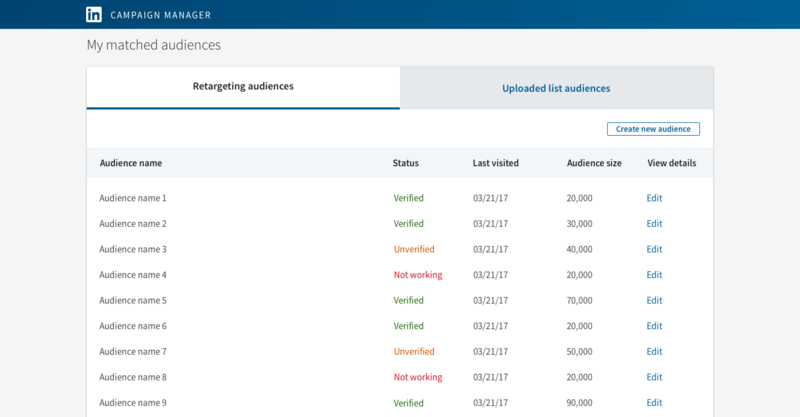 Unbounce’s platform lets businesses create multiple versions of their landing pages to test in real-time to determine the “winner” that converts the most leads. Another big benefit of Unbounce is its drag-and-drop functionality, meaning that tweaks to your landing pages are a mere few clicks away. This encourages frequent testing without having to worry about breaking your site or complicated coding. By targeting leads on an individual level through account-based marketing, businesses can tailor their messaging and services based on the actions behind their accounts. Again, specific leads have specific needs and therefore can’t be treated as a one-size-fits-all affair. 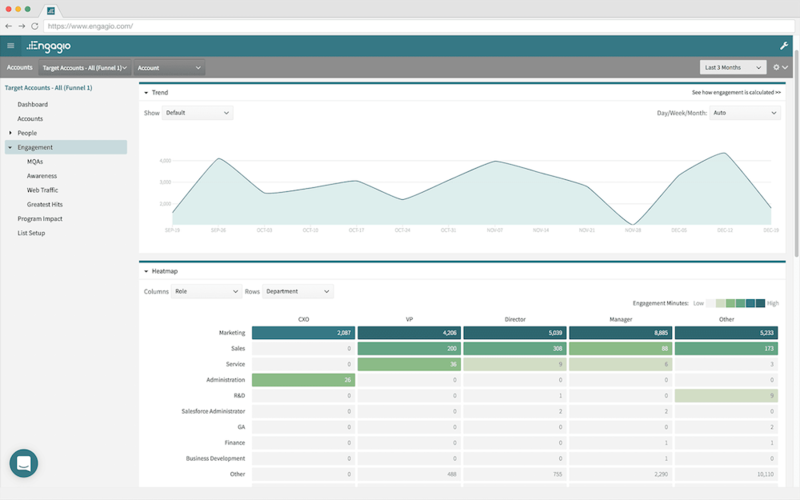 Engagio provides comprehensive tracking and reporting for your ABM campaigns, specifically focusing on how long your brand “spends” with leads during ABM campaigns. Assigning scores to leads based on their activities including actions via email, downloads and calls, businesses have a better pulse on what their accounts need to move forward. Terminus’ selling point is it’s “360-degree” view of each of your accounts, combining first and third party data to map out your relationships. In-depth analytics including opportunity insights and account-based scorecards signal which accounts need attention from sales or marketing. This level of data enables sales teams to effectively stay in sync with marketing and scale their ABM efforts together. As highlighted by these demand generation tools, there are tons of options for businesses to raise awareness and encourage their leads to take action. Hopefully this list served as some much-needed inspiration on how you can use demand generation tools to help give your leads a much-needed push.